Storing and transporting goods from one place to another are important aspects of most businesses. In manufacturing, you may need to store your product, then ship it out to your customers. 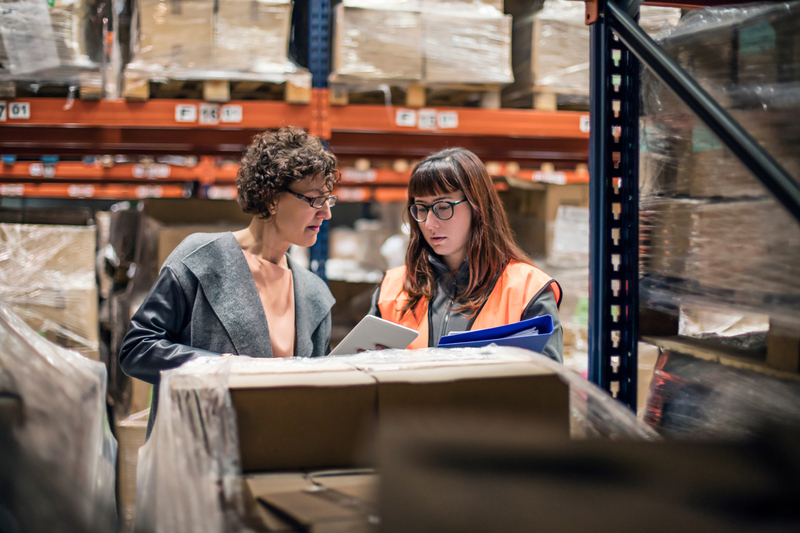 In retail, your store may need to order from the warehouse to fill the shelves. An online retailer sends products directly to customers from the fulfillment centre. Almost any business will need to employ someone in a shipping/receiving job. If you’re searching for a job, perhaps you’re considering roles in this field. What exactly is involved in a shipping/receiving job? Check out this list to discover some of the responsibilities. In a shipping/receiving job, you’ll likely be responsible for some paperwork. You may be expected to prepare shipping orders or work orders. You may need to prepare bills of lading. You’ll be expected to keep track of these documents as well. This paper trail allows you to trace back where an order went and when it shipped. This is important if the order was picked and packed incorrectly or if it arrived damaged. You’ll also need to keep details about the shipments that arrive. Information you’ll be required to record when you receive shipments includes weight, charges, and damages, among others. Someone working in shipping and receiving needs to think on their feet. You’ll be called on to determine how to get orders to their destinations on a daily basis. Which route is the fastest? What shipping method is the most economical? You’ll need to make these decisions to ensure the shipment arrives on time, undamaged, and at a cost acceptable to the company. Another responsibility you may have is contacting carrier representatives to arrange shipments. You may need to convey special instructions too. One of the primary duties of a shipping/receiving job is checking over shipment contents. You’ll review shipments headed out to other destinations and ones that arrive as well. You’ll use invoices and orders to determine that everything has arrived or has been packed properly. You’ll require a good eye for details and will need to check for damages and discrepancies in invoiced amounts. As the Shipping/Receiving Clerk, you may be responsible for getting shipments off the floor to the loading dock, or from the loading dock to their respective departments. You may be required to help arrange warehouse storage, getting newly received shipments into the right places. To do this, you’ll likely be involved in the delivery of shipment items. You may need to take a hand truck or load materials on a conveyor belt to route them properly. You’ll also need to find space in the warehouse. If shipping supplies falls under your domain, you’ll want to keep an eye on these. Another key responsibility you’ll have will be communicating with others, including your own team members, supervisors, and managers. You’ll also need to communicate with people from different departments in your organization. For example, if a delivery arrives for one department, you may need to discuss it with the department head. You’ll also interact with people in other organizations. You may need to discuss damages with a supplier or a customer. You’ll need to talk to carriers about routes and rates. Active listening and good communication skills are essential. If this sounds like a role you’d excel at, a shipping/receiving job might be the right fit for you. Contact Liberty Staffing today and see what roles are available near you! Natalie Sigismondo is the Regional Business Manager at Liberty Staffing's Brampton location. She has over 10 years of customer service experience and over five years of management experienced. Natalie enjoys helping employees develop and grow their careers, building individual development plans, increasing employee engagement, and conducting team-building activities. In her spare time, Natalie can be found cooking and entertaining friends and family. She is an animal lover who will always stop the car to say hi to a cute dog.